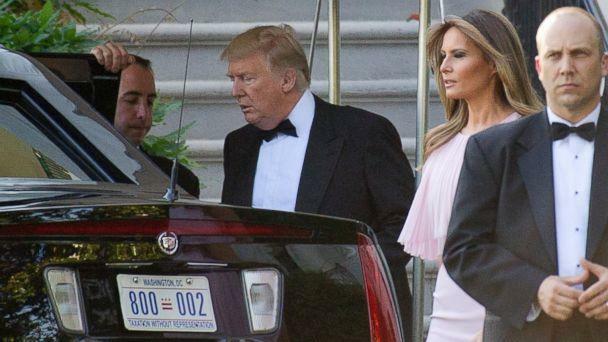 President Donald Trump, first lady Melania Trump and several Cabinet members attended the Saturday night wedding of Treasury Secretary Steven Mnuchin and Scottish actress Louise Linton. 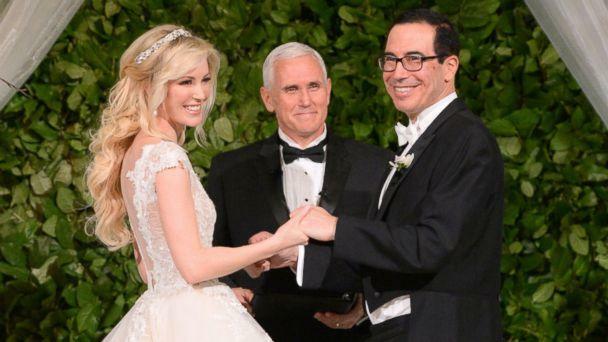 Vice President Mike Pence officiated the ceremony, which took place at Washington's Andrew W. Mellon Auditorium, a historic venue located near the National Mall. Second lady Karen Pence was also in attendance. 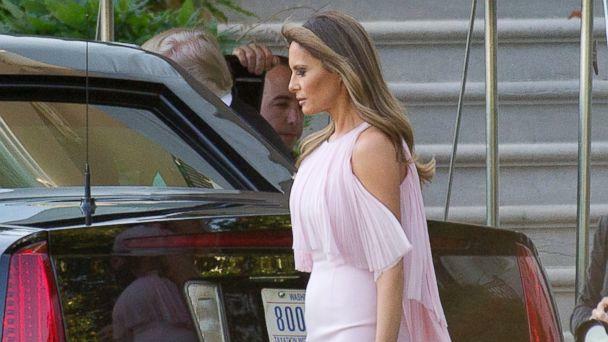 Melania Trump wore a Gilles Mendel silk chiffon gown with Manolo Blahnik pumps, according to the first lady's office. Aside from the Trumps and Pences, guests included White House Press Secretary Sean Spicer and his wife Rebecca Miller, Housing and Urban Development Secretary Ben Carson and Secretary of Veteran Affairs David Shulkin. 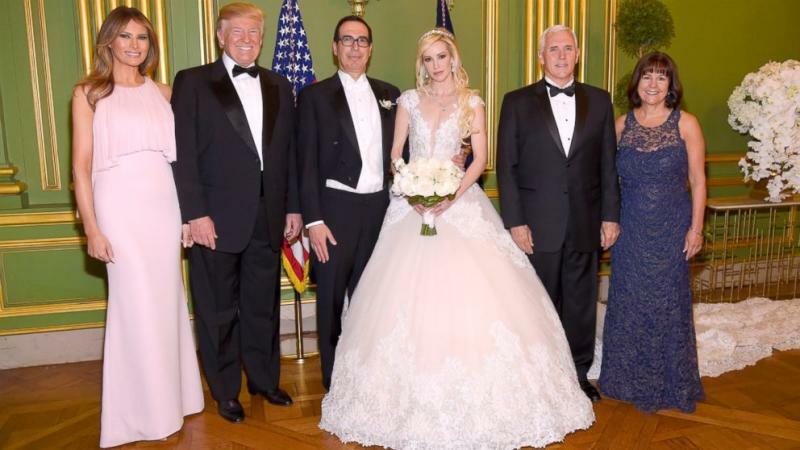 It's the second marriage for Linton, 36, and the third marriage for Mnuchin, 54. Linton has appeared in the TV shows "CSI: NY" and "Cold Case," as well as the film "Cabin Fever."